I have spent my life living with a nice lady who has cared for me and my three friends; Mac, Nelly and her daughter Annie. Unfortunately, we can no longer stay with the lady because she cannot cope with us anymore. Cranky’s FARM has said they will let us live there and join their already big animal family. For the first time we will have other goats, donkeys and cows to be friends with. One of my favourite things to do is sit on people’s laps, although I’ve been told at 1 year I am a bit big for that now. I arrived at Cranky’s with my family on Saturday, 20 October 2018. The people there said they fell in love with me immediately because I am so affectionate and sweet. I really love people and cuddles and have discovered that I also really love jumping on rocks, which I’ve never been able to do before. My friends and I eat around $45 worth of food a month each.  If you would like to help the people at Cranky’s FARM care for us just click the “Sponsor Me” button below. Free visits to Cranky’s to visit me and see how I’m doing. Two free over night visits per year staying in our cabin style accommodation. More pictures of Millie to come after his arrival at Cranky’s.